From mid-August to October, more than a million wildebeest migrate from the Serengeti in neighboring Tanzania to Kenya’s Maasai Mara park, accompanied by hundreds of thousands of Thomson’s gazelle, zebra, and eland. Despite the plethora of videos and photography of the migration available online, nothing comes close to seeing in person the mass movement of animals, lumbering, strutting and swaying in one of the great wonders of the natural world. 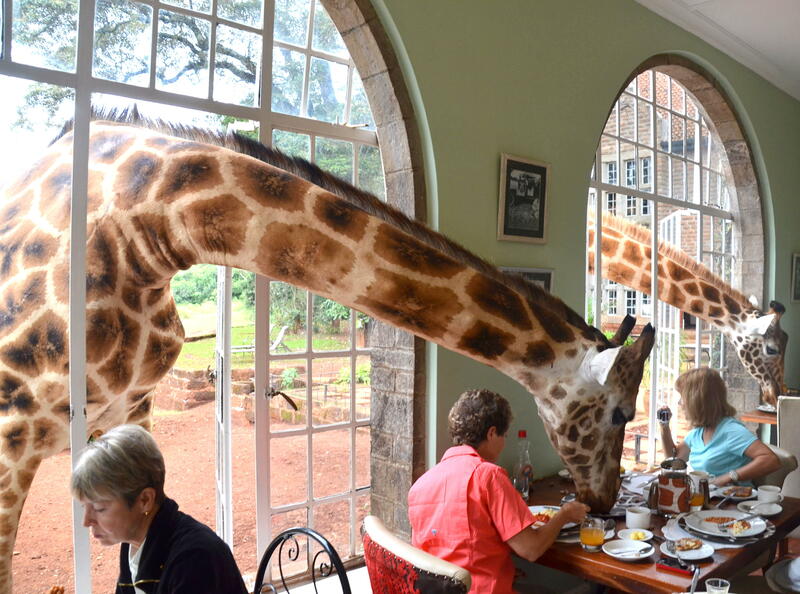 The famous Giraffe Manor is set in 12 acres of private land in a Nairobi suburb and allows guests to participate in sunset feeding sessions. Expect other impromptu feeding sessions: the herd of Rothschild giraffes will often poke their heads through the windows of the manor house for extra treats. Kenya has more than 1,000 recorded bird species, including flamboyant crowds of pink flamingos whose massing makes for surreal photographs. They have been driven from Lake Nakuru in the past half-decade because of industrialization and rising water levels, and many have moved to Lake Bogoria, which covers 32 square kilometers (12 sq miles). The matchstick-legged birds can be seen feeding on the algae that give them their candyfloss hue amid geysers that result from the lake’s geothermal activity. Also visit Lake Naivasha, home to Golden-winged Sunbirds, Superb Starlings and African Fish Eagles – Naturetrek runs small group wildlife-watching tours. 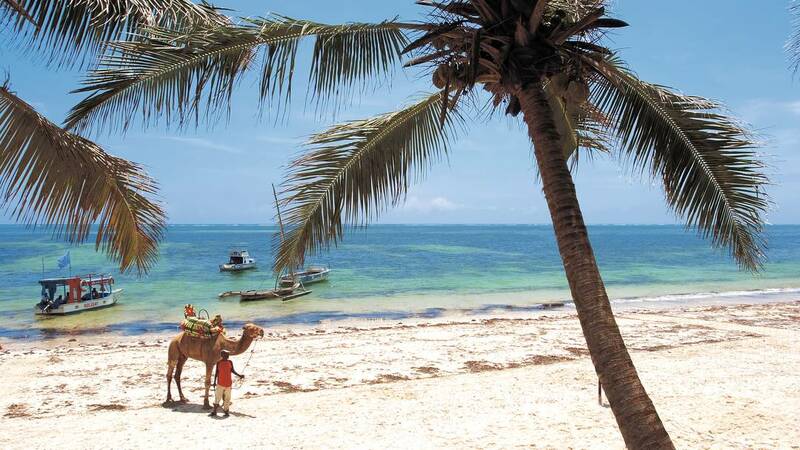 Kenya’s geography means that it offers the perfect combination of fauna-and-flora spotting adventures in its dozens of mighty national parks, and opportunities for lying prostrate on white sand Indian Ocean beaches. Africa Travel recommends an 11-day safari-and-beach itinerary, with the first stop at Ol Pejeta Conservancy reserve, home to the country’s highest population of black rhino, as well as elephant, cheetah, lion, and leopard. Guests then move onto a beach hotel for a couple of days of watersports and relaxation. Less well-known than Tanzanian sister, Mount Kilimanjaro, and considered a more challenging climb among mountaineers, Mount Kenya sits in its national park, amid endemic fauna and flora. The highest of three peaks rises to 5,199m, although this requires a technical climb. Even the lowest of its three summits, though, offers astounding panoramas over the plains and savannah below, and as you ascend through the foothills, you may spot elephant, black rhino, Cape buffalo, Colobus monkey, antelope, and Giant Forest Hog.